The HIKE Fund, Inc. – Page 3 – The Fund is the continuing philanthropic project of Job’s Daughters International. The HIKE Fund, Inc. Board of Directors will remember Dad Chuck for his leadership to help children with hearing loss. Because of his vision, over 2,600 kids have received the gift of hearing through grants that provide hearing aids and other devices. Almost $5.2 million dollars have been raised since 1985. If HIKE has had an impact on your life – either as a recipient, parent, Job’s Daughter, or valuable donor – please consider leaving a comment on the online guest book for his family. Please share your stories with them so they can treasure the legacy that Dad Chuck leaves behind. In lieu of flowers, the family asks that donations come to the HIKE Fund: https://thehikefund.org/donate/. We will miss you, Dad Chuck! (St. Louis, MO) – The mid-year meeting of The HIKE Fund’s Board of Directors was held March 4, 2017. Lively and productive business discussions led to improvements in how we process applications, creating an online toolkit for coordinators, new items for sale at Job’s Daughters International Supreme Session in PA, among others. There are already 14 daughters who have raised over $1,000 for HIKE and will receive a medallion at Supreme Session! How many more will there be? Here’s a letter from Cassidee in Utah who was determined to raise $1000 and SHE DID! Application for the T&T HIKE Scholarship of $1,000.00 is now online. It is awarded to a Majority Member of Job’s Daughter using the same qualifications as the Supreme Guardian Council Scholarship, who is entering her junior or higher year of college in Audiology, Speech Pathology or Deaf Education. We would love to present a deserving MM with a scholarship. We’re now on Instagram and we want daughter HIKE coordinators to be our IG ambassadors. We want girls to share all the amazing activities and fundraisers they plan and implement in photos and videos. A short online training will be held at the end of March, so have your state daughter coordinators contact Leslie Hoglund, Website and Social Media Director, for more information. Fun ideas were shared from HIKE coordinators. We encourage and love when states get creative in promoting our work to their communities. Indiana Youth HIKE Coordinator, Jesse, made her own brochures and business cards and has been very active in her outreach to sell beautiful bracelets for HIKE. Please share your cool ideas with us!! It’s that time of year and we are getting things together for the March meeting of the HIKE Board. and send pictures of the event (along with paperwork from the presentation). And, let me know how successful it was. 2. Advise if there has been a change in your jurisdiction’s HIKE Coordinator/Daughter Coordinator. I will need their name, address, phone numbers and e-mail address. Send to: jan14@embarqmail.com. 3. If you have plans for an event sometime during the remainder of this term, let me know that plans are in the works. 4. Also, please make sure that award presentation info has been forwarded to us at your earliest convenience. We ask also that pictures of the event be included. 5. If you are planning to attend Supreme Session this year, will you be attending the HIKE Coordinators meeting and what HIKE info would you like to hear more about. Also, all funds raised should be sent to John Hauser, HIKE Board Executive Secy., 530 Elliott St., Council Bluffs, IA 51503-0202 following the events. If they have not been sent, please forward them as early as possible. Follow The HIKE Fund, Inc at: thehikefund.org and on Facebook: The HIKE Fund Inc. Please note that HIKE is spelled without the dots. Not H.I.K.E. A response by 2/27/2017 would be appreciated. Your time and work for HIKE, Inc. if truly appreciated and we thank you for all you have done to make this endeavor what it is for the Hearing-Impaired Kids who benefit from the Fund. Well, 2016 is done and – WOW! – was it good. Donations have been amazing and we can’t thank you all enough for being so generous and loving to help kids with the gift of hearing. You are literally changing lives! We are $10,000 ahead of where we were last year (2015) and $14,000 ahead of the year before (2014)! We have a big, audacious goal this year – $200,000 – and we are 41% of the way there. We have 5 months to make it happen. Will you be a part of the goal-making team? 1. The Board of Directors of The HIKE Fund will hold the mid-year meeting in St. Louis, MO on March 3 – 5, 2017. The agenda is set and full. If you have any questions or feedback to give to the Board, please let us know! 2. States are rocking and rolling with fundraising through Job’s Daughters International. Way to go!! 3. We have begun a partnership with Giving Assistant. Just click this banner and shop away! We’ll get a small kickback. Easy peasy! 4. Our goal this year is for every Job’s Daughter to raise at least $32 for HIKE’s 32nd Year. We have 6 states who have smashed that per capita: Iowa, Maryland, Missouri, Nebraska, Nevada, and Virginia. A few states are very close – Delaware, Illinois, and Ohio. Check out the stats on the states here! 5. Be thinking about honoring amazing adults in your state who loudly and proudly advocate, promote and fundraise for The HIKE Fund. You can submit nominations now through June 15th. Celebrate HIKE with Year-End Holiday Impact! For many of us, we are celebrating today, spending time with family, receiving gifts and spreading joy and peace. What an amazing time of year this is! As we begin to wrap-up 2016, we look forward with great anticipation for what may come for the HIKE Fund in 2017. Thank you so much for your generous, loving gifts that directly help and impact children’s lives with improved communication! Our grantees and their families often express how appreciative they are, and some even go on to champion the goals of HIKE because of the influence this gift has been in their lives. The goal for 2016-2017 is to raise $200,000 – more than we’ve ever raised before in a single year! That’s approximately $32 per member of Job’s Daughters International. As of November 30th*, we have raised $52,428.33 – that 26% to our goal! This puts us at $11.23 per member – little by little we will get there. *We have several state donations still to process, and our final push for year-end giving. We can’t wait to update you in January 2017!! To inspire your hearts, here are a few stories from the past month from amazing kids receiving HIKE grants. On December 10th, the members from Bethel #1 Papillion, Bethel #15 Fremont , and Bethel #18 Omaha joined forces to present a HIKE award to the Fittje family. Russell (RJ) was born with two different types of hearing loss. Because one type is very rare, his mother shared the struggles and triumphs that RJ has experienced in his life; his condition prevents him from ever flying, due to the risk of permanent 100% hearing loss. It’s rewarding to be a part of RJ’s future success. A HIKE presentation was made to Isaiah Tucker at Fenton Lodge #281 Christmas Program on December 14th in Missouri. Isaiah will be purchasing new hearing aids with the help of this grant. Meckenzie Yeager, MO Daughter HIKE Coordinator & Miss Missouri JD, and Michaela Davis, Jr. HIKE Daughter Coordinator gave the award. The Masonic family was out in full force for the program including Fenton Chapter OES #152, Bonhomme Lodge #45, Bethel #43 JDI, and Progression Chapter Order of DeMolay. Isaiah’s and his family were invited to share in a dinner and attend the program. Sweet girl, Ema, 21 months old, was awarded a HIKE grant on December 17th in Yorktown, Virginia by Bethel #39 JDI. The award was made at the Installation of Officers, and Honored Queen, Blair Rary, made the presentation alongside Christi Tanous, Grand Guardian and Earl Philpott, Associate Grand Guardian. Ema was absolutely the highlight of the night. She would feel the chords of the piano and begin twirling around, knowing it was music and time to dance. She lit up the room! Her parents expressed their deepest gratitude and said that through their professions, they would pay this forward. The Bethel plans to keep in touch with the family and maybe one day Ema will be a Job’s Daughter. As you reflect on the good things that you have, please consider helping kids with the gift of hearing – to ensure and promote their success in this world. Donations are always tax-deductible. Job’s Daughters, don’t forget you can earn incentive charms to accompany your Jerry HIKE pin. We wish you a joyful holiday season and a successful new year!! November 29, 2016 is Giving Tuesday. Have you ever been given a gift that was life-changing? Close your eyes. Put yourself in that spot and remember how you felt. Was it freedom or relief? Perhaps you felt overwhelming joy and fulfillment. Perhaps you didn’t feel it at the time but the gift would ultimately change the way you experience the world. The HIKE Fund asks for your partnership and support to help families who need a little bit of love to ensure their child has suitable equipment to address hearing loss, deafness or other communication disorders improved by assistive hearing devices. Watch this short video by Virginia’s Grand Guardian, Christi Tanous, sharing an excerpt from Sarah Klegman’s story. Be inspired to hear the wind blowing against the window of your room or the ocean waves crash against the shore. Listen to the birds and the whispers to your friends at the sleepover so you don’t wake up your parents upstairs. Take a moment and soak in all those sounds around you, and know that your donations are helping someone do the same…maybe for the first time! Share Sarah’s story and celebrate the great work that the HIKE Fund is able to do because of you! Promoting HIKE can happen in many places. Ohio has taken this year’s HIKE pin and charms and turned them into donation cards that can be posted on a wall or building, in a store or Lodge. There are 5 charm cards – the bone and dish are for $1 donations, the ball and leash are for $5 donations, and the collar is for a $10 donation. You can make a display board to attach the charm cards as people donate, when you are at community fair or event. Thumbnails are below and you can make copies in color or black & white. HIKE has challenged each jurisdiction to raise $32 per girl as HIKE is 32 years old this year! If each state achieves this goal, we would raise $200,000. The dog leash tracker can be used to track your state’s progress toward their goal. This file is designed to be printed at 18″ x 24″ and is around $13 to print. This program was piloted at a fall festival and Ohio raised almost $400. Special thanks to Amy Young, HIKE Board Member, for developing this cute program! Send us photos if you use this idea at an upcoming event, or at work, school or Lodge. We are off to a great start this year with fundraising for HIKE! Thank you so much for all of your efforts and willingness to give the gift of hearing. We are 18% at 2 months toward our goal of $200,000 this year!! We know there are many HIKE events yet to be held in our supporting states, so we know the BEST is yet to come! 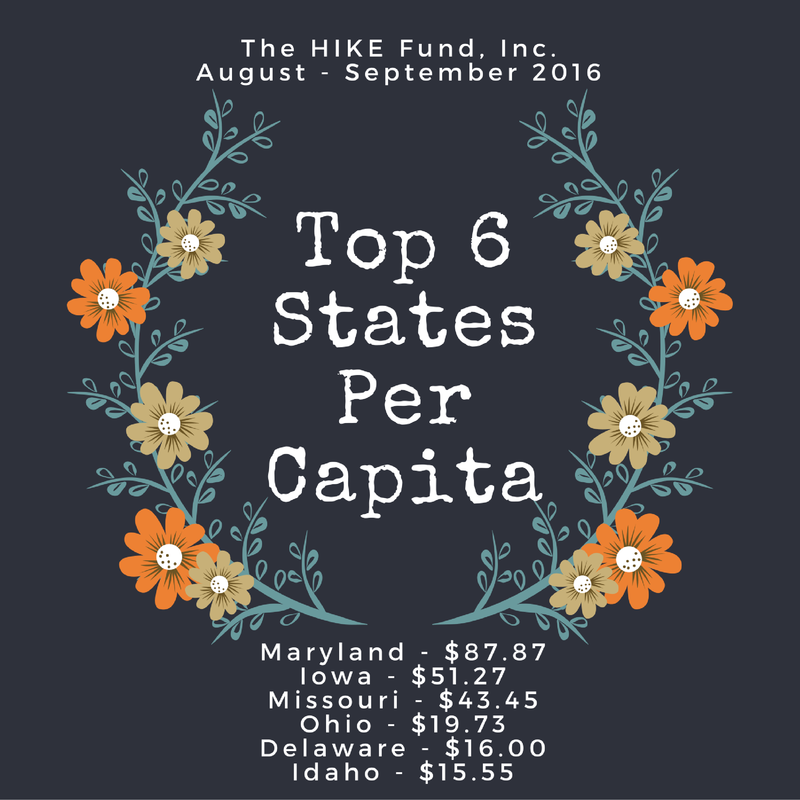 We want to recognize our top 10 states in overall funds raised, and our top 6 states in per capita. Our #HIKEGOALS this year are big – and with each member of Job’s Daughters International committing to give at least $32 to celebrate the HIKE Fund’s 32nd year – and we will meet them!! A year-to-date financial report can be found on our DONATE page. Congratulations to all for your amazing efforts and support thus far!! Nebraska’s Daughter HIKE Coordinator, Rachel Radloff, has been hard at work this year. Her motivation likely comes because she is a HIKE recipient who received her first hearing aids with assistance from a HIKE grant when she was in Kindergarten. She is now 13 years old and serves as Guide in Bethel #1, Papillion. 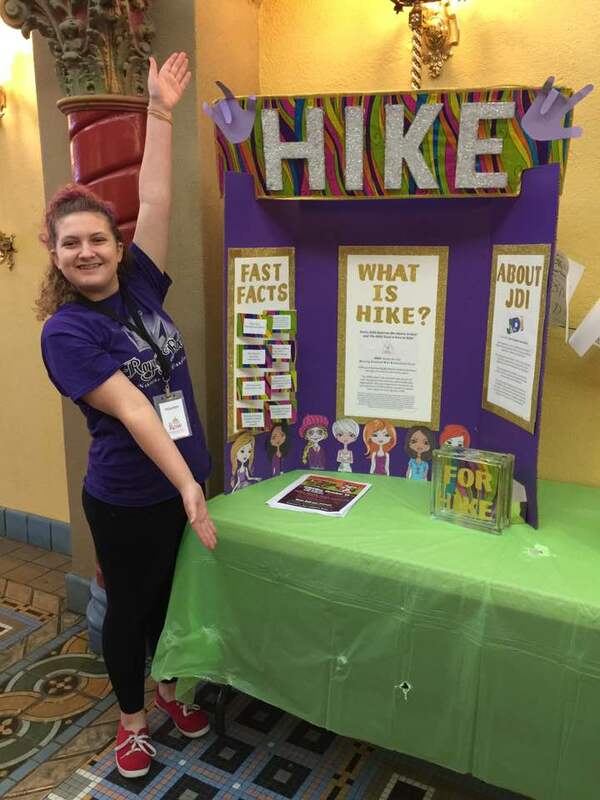 Rachel has coordinated with Omaha’s children’s theater to have a HIKE display at all of their performances that are translated into ASL throughout the season. Her Job’s Daughter sisters also serve as ushers for these performances, and the theater has permitted Rachel to do a curtain speech about HIKE and Job’s Daughters before the shows start. Job’s Daughters is given presence at 9 different shows throughout the year, in front of an audience of 900 people each time. Rachel is very excited and invites others to usher with her; she needs about 5-8 volunteers once a month. She has organized two fundraising activities this fall that center on giving back to the community – a Halloween HIKE Party and a “HIKE on Ice” skating carnival. A local ice rink has donated an evening worth of time for the event. It will feature “cosmic” skating — black lights and glow-in-the-dark fun. Job’s Daughters will have off-ice games for people to participate in, and Rachel’s figure skating club will provide coaches and skating helpers for people on the ice, so that everyone from newbies to experienced skaters can join in the fun. 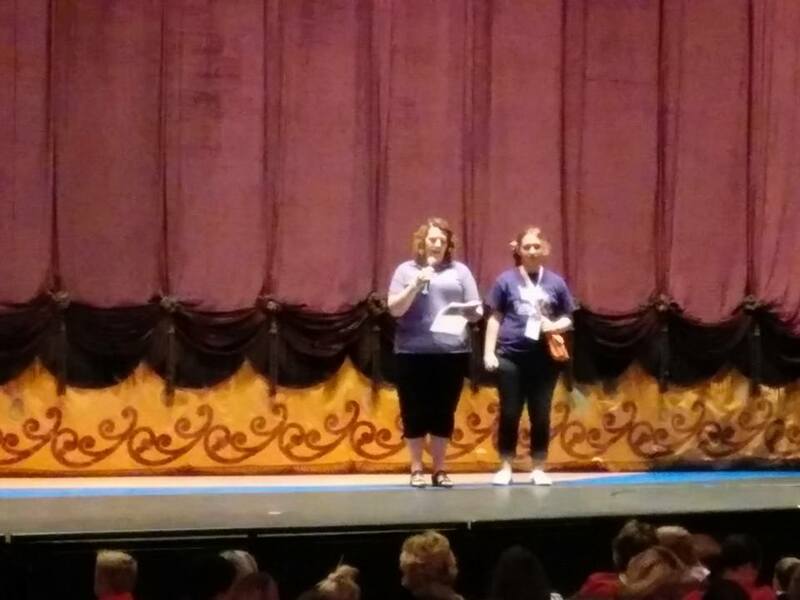 Rachel has received several donations for door prizes, and the Omaha Big Brothers Big Sisters chapter has made it an official event for their members to attend. Rachel has also secured a TV interview her before the “HIKE on Ice” event. Through her audiologist at Boystown Hospital, their public relations director wants to coordinate to pitch her story as a feature to all the different media in town. Way to go, Rachel, for your creative and amazing ways you are promoting HIKE for fundraising this year! 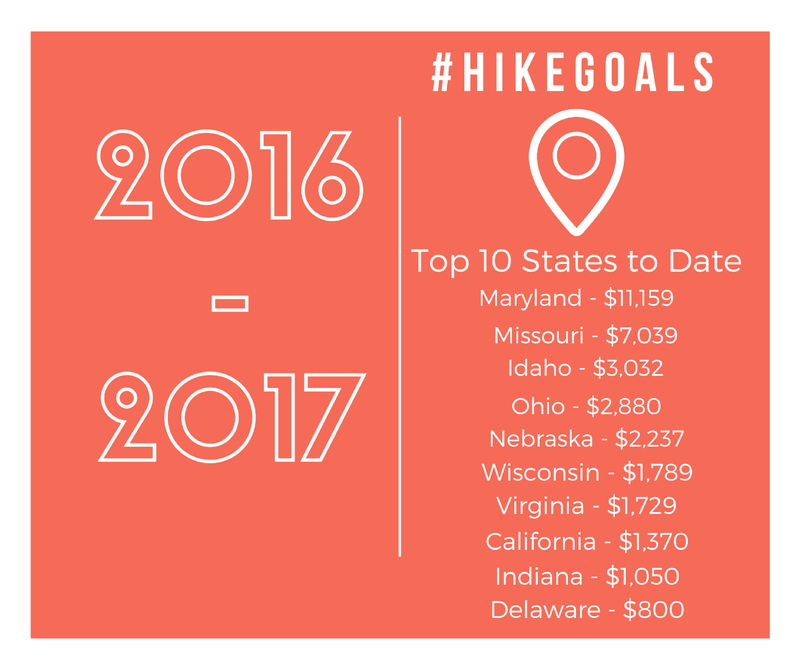 What is your state doing for HIKE this year? Share your stories with us and get featured on the HIKE website and social media.